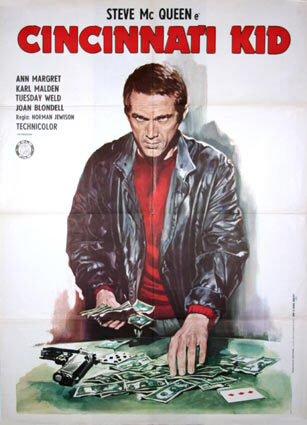 I mentioned last week the new college course I’m teaching, called “Poker in American Film and Culture.” We were all set to begin yesterday, but snow and ice caused classes to be cancelled, so it appears we won’t be able to get started until tomorrow. Actually missing a day is no biggie... we’ll be able to catch up without much difficulty, I imagine. I have completed the syllabus and since some have expressed interest I thought I’d share a list of the reading/viewing assignments. Right now it appears I’ll be able to teach the class again after this semester, so as we move through these units this spring I’ll be thinking about which assignments I want to keep and what other ones I might want to include next time around. This first unit -- just covering the first few classes -- introduces poker as a subject worthy of academic study as well as a lens through which we can examine numerous aspects of American culture from the early 19th century to the present. The Mamet essay (which I mentioned at the end of yesterday’s post) sounds a few general notes about poker that we’ll return to throughout the semester. Mamet concludes that poker teaches us “character,” so the Lukacs piece will follow-up on that idea a bit by more specifically talking about “American Character.” (I wrote at length about the Lukacs essay a few months back here and here.) 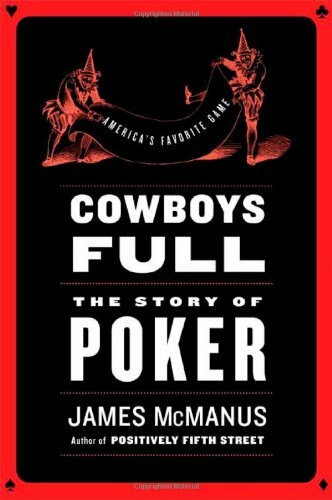 Then the first chapter of McManus’s book -- in which he spells out his plan to talk about how poker is interwoven in “American DNA” -- will also give us a number of things to look for going forward. The next few McManus chapters then talk about all of those games like “mus” and “primiera” and “as nas” and “poque” that can be regarded as poker’s precursors. 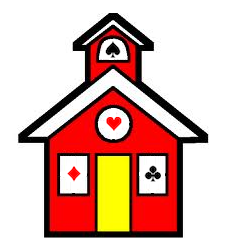 The later chapters talk about draw poker, stud poker, and hold’em, and that’s where we’ll make sure everybody at least knows the rules to these games before going forward. As I mentioned last week, Cowboys Full is kind of a “core” text for the class, especially here in the early going. Here’s my review of McManus’s history from the fall of 2009 when the book first appeared. These couple of weeks the class will mainly be a history class, and we’ll primarily be sticking with McManus’s version of the story of poker in the U.S., although here I’m bringing in Spanier to supplement things a bit as well as to introduce another voice into the discussion. 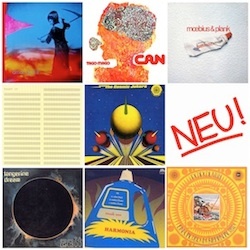 I’m a big fan of Spanier’s collection, by the way (reviewed here). The Hildreth excerpt presents the first instance of the word “poker” appearing in print. 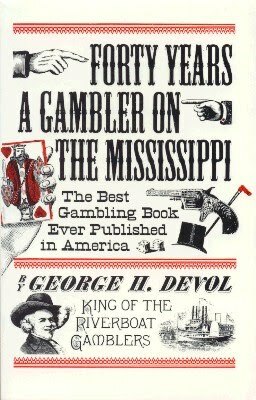 We’ll basically be carrying the story up through the middle of the 20th century, covering poker’s spread across America in saloons and on riverboats, Civil War poker, the stories of Wild Bill Hickok and other characters from the Old West, and notable anecdotes involving presidents and poker. We’ll also look at McManus’s observations about poker’s relevance during the World Wars, Vietnam, and the Cold War. 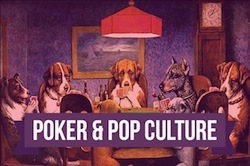 Then we move into some other readings that help illustrate the “culture of poker” in the U.S. from 1950s to present. Here we’ll start out talking about the birth of Las Vegas, move into the California Poker scene, then read and discuss the World Series of Poker. McManus writes about all three, of course, so we’ll be dipping back into Cowboys Full for the relevant chapters. McManus and Spanier will help us talk about the early days of Vegas, including that big game at Binion’s between Johnny Moss and Nick “the Greek” Dandalos. Hayano and Miles provide a lot of background for those Gardena games (material that will then get dramatized with that cool opening of California Split the students will watch later). The excerpt from Bradshaw (reviewed here) concerns the 1973 WSOP, and from Dr. Pauly’s book I’ve chosen chapter 35 (from the 2008 WSOP). Then we’ll read Alvarez’s great account of the 1981 WSOP, a book that includes a lot of insightful commentary about Vegas and American culture. As I’ll explain to the class, it will begin as a history course, then here will turn into a literature class (before becoming a film course, then a class in sociology or even psychology). Here we’ll consider literary texts in which poker is of special thematic importance. 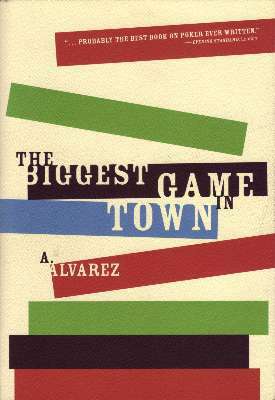 Actually, we’ll be finishing Alvarez at the start of this unit, which kind of fits as I consider The Biggest Game in Town a literary triumph as well as an exemplary piece of journalism. All of the stories appear in the 2004 anthology Read ‘Em and Weep edited by John Stravinsky. I think it will be especially interesting to read them along with May’s novel after having learned about poker’s history in such detail. There are a number of other texts I might’ve included here (such as Rick Bennet’s King of a Small World which I talked about here a few weeks ago), and I imagine in later iterations of the course I’ll likely substitute some of those to see how the students respond. 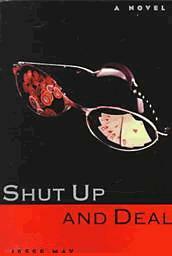 By the way, Tim Peters discussed Shut Up and Deal way back on Episode 2 of The Hard-Boiled Poker Radio Show, if you want to hear more about the novel. Just three required films here, although as I said last week I’ll probably concoct an assignment that allows students to choose other films to write about if they wish. I also plan to show a lot of clips from various films along the way all semester to help illustrate various themes and issues suggested by the readings, so film will be a prominent part of the course throughout. I’ve kind of jumbled the order of these readings here a bit, but you get the idea -- kind of a miscellany of topics with which to close out the semester. We’ll first talk about men, women, so-called “gender roles,” and the like, using Spanier, a chapter from McManus, and Connors’s essay from Women’s Poker Night (a book I reviewed here). Then we’ll have one class where we get into the whole “luck-vs.-skill” debate (with Twain and Tuchman), which I think will be relevant to the subsequent discussion of morality which will begin with another chapter from Spanier and that old strategy bit from Florence. We’ll then talk a bit about gambling laws in the U.S., reading Dunstan’s historical overview and McManus’s UIGEA commentary. Then we’ll end the course talking about online poker, poker “bots,” and artificial intelligence, using another of Spanier’s essays (from The Hand I Played), some more from McManus, and my little report from one of the Polaris matches. Students will write three essays along the way as well as take two exams. Like I say, I do plan to make some changes for the next time I teach the course. 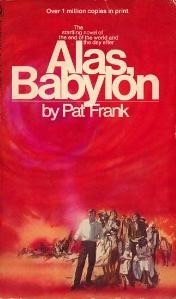 I also expect to learn a lot from my students, too, about these texts and the issues we discuss. Don’t really plan right now on writing too much here on Hard-Boiled Poker about the class, although I imagine I will bring it up from time to time. Wish me luck. Or skill. Or both. I would like to follow along with the readings you have assigned for your class. Do you know where I could find most of the essays and excerpts you have mentioned? The four books students will *have* to buy will be the ones by McManus, Spanier, Alvarez, and May. A lot of the stories and excerpts will come from that Read 'Em and Weep anthology I mention, the one edited by John Stravinsky, and so if you pick that up, too, you'll have a lot of the readings I'm assigning. 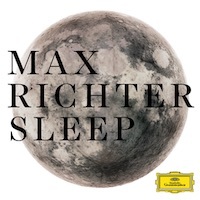 (In a few cases, I'm actually using different excerpts from the original sources than Stravinsky chose.) So if you pick up those five titles, you'll have almost everything in terms of the readings being assigned. McGuire: that's from Dr. Pauly's book, Lost Vegas… go to his blog for info on how to get it! Can I swap this class for Advanced Income Tax reporting? Hi! The course looks fascinating. I thought I might make a suggestion: "The Music of Chance" by Paul Auster is related to poker, and to "American poker", in a very intimate way. The most important point in the book is a particular poker game, but I feel that the whole existentialist thread in the book is strongly connected to "American poker" and to, say, the "metaphysics of poker's human element".